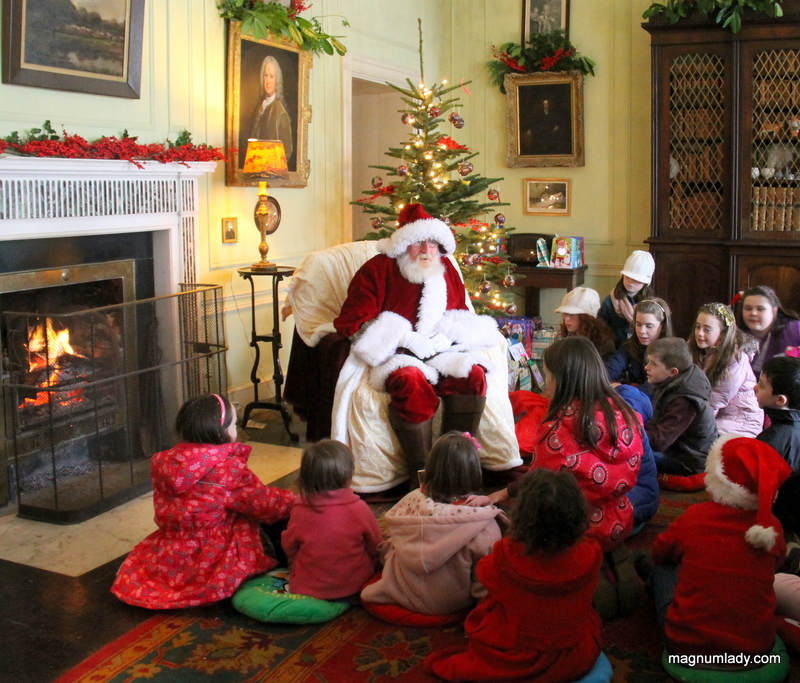 Today I went along to Strokestown Park for their Victorian Christmas Experience. It was a really magical experience and I didn’t even have any kids with me!! 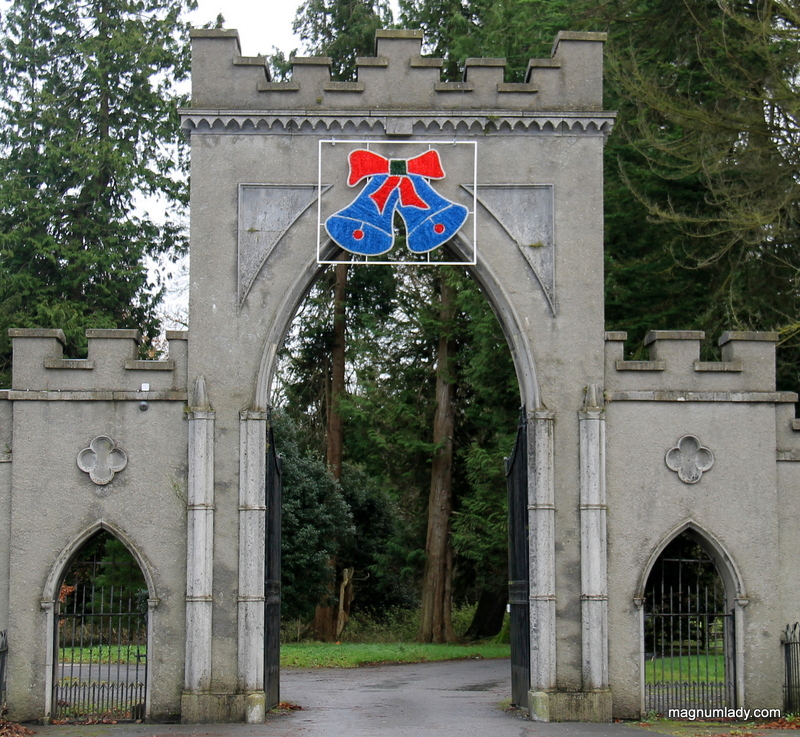 As soon as your approach the entrance to Strokestown there are signs of Christmas. 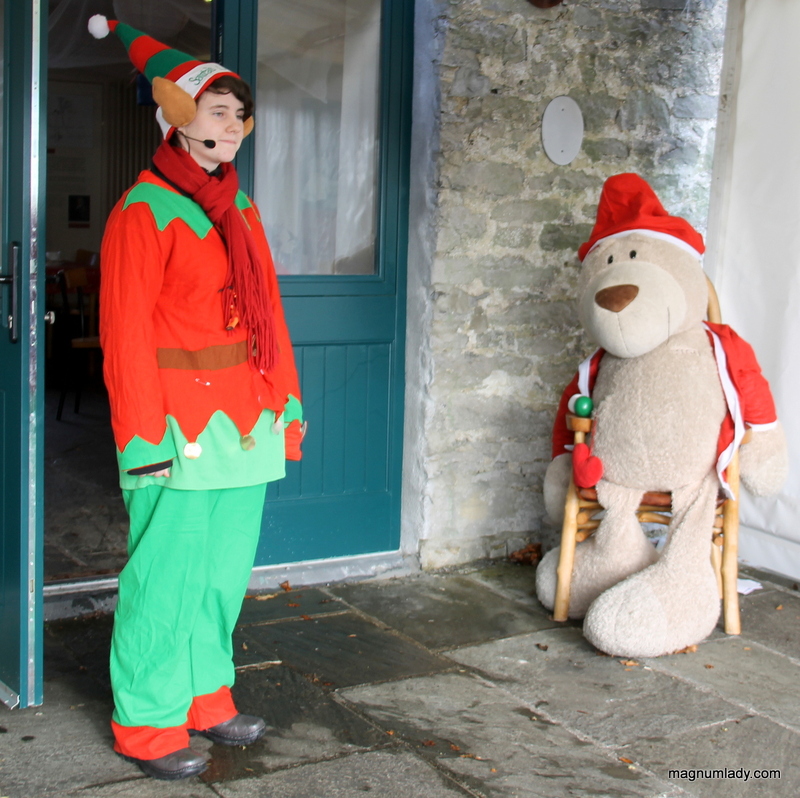 There was an elf to welcome everyone just outside the cafe. 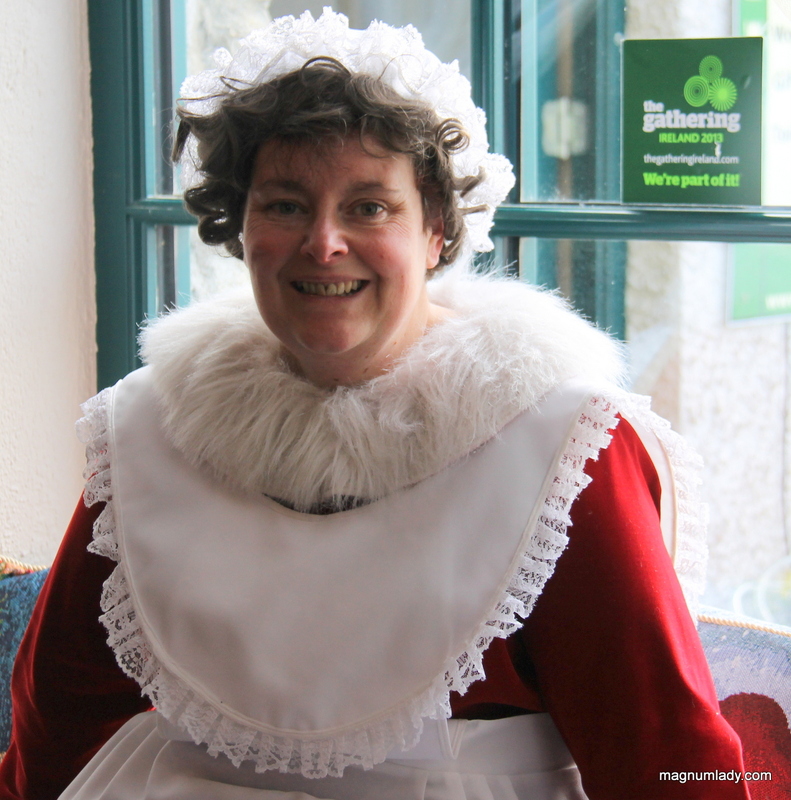 The children were given hot chocolate and Mrs. Claus told us all what was in store for us during the day. 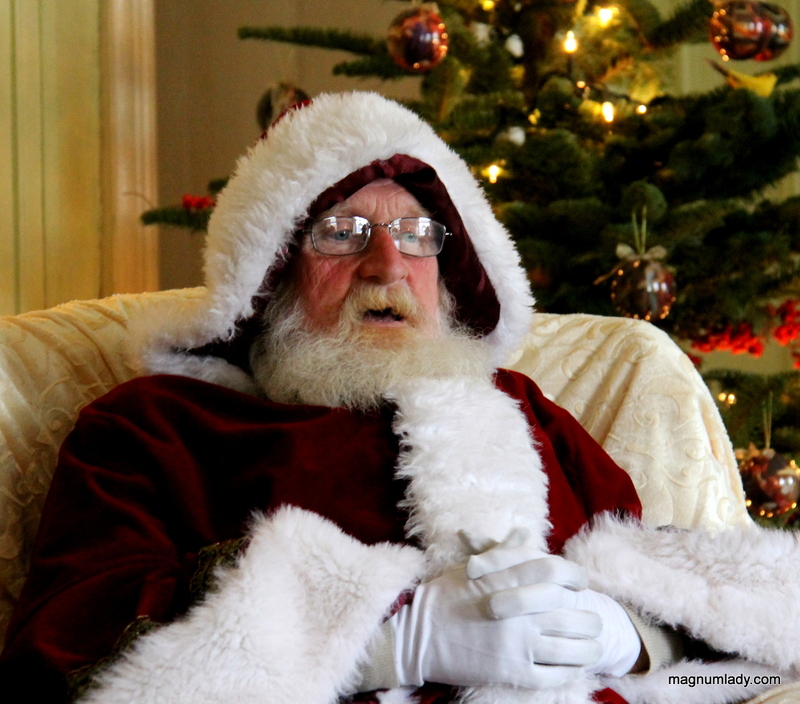 Mrs. Claus also told us about Santa’s cold feet and how he snores at night, much to the amusement of the children. 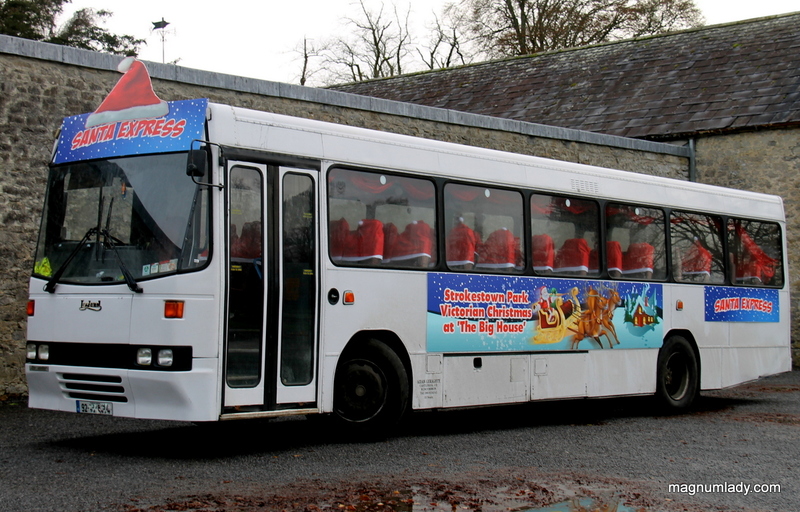 It was soon time for us to board the Santa Express and make our way to the big house to see the man himself. 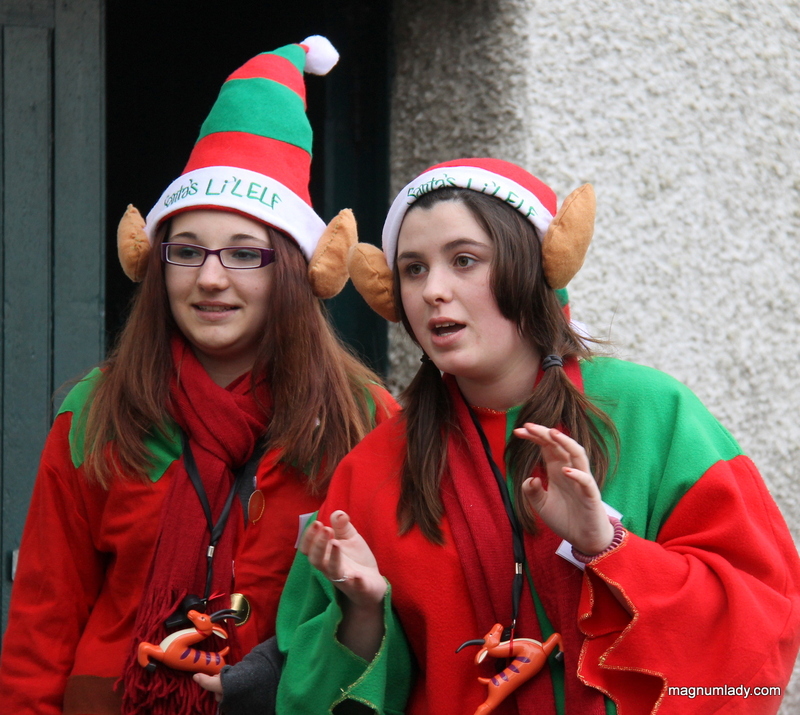 The bus was driven by and elf and he sang all the way to the house. 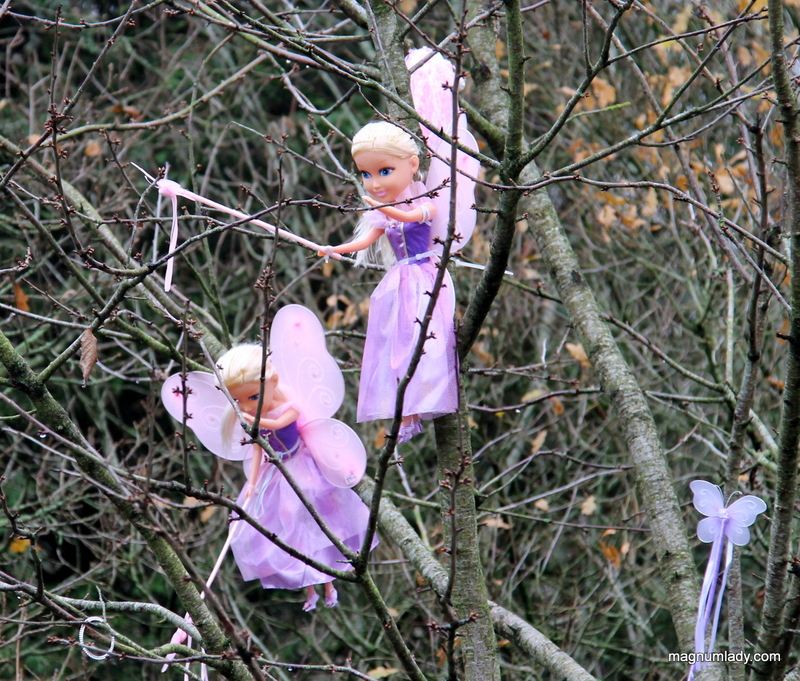 Our journey took us by the ‘fairy tree’ and all the children got to make a wish. 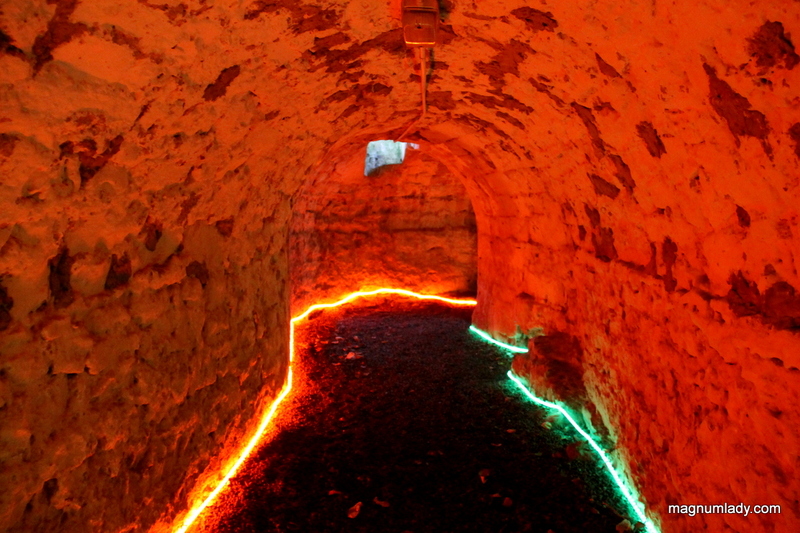 We went through the tunnel and were greeted by two more elves who showed us into the basement where there were three rooms to have fun in. 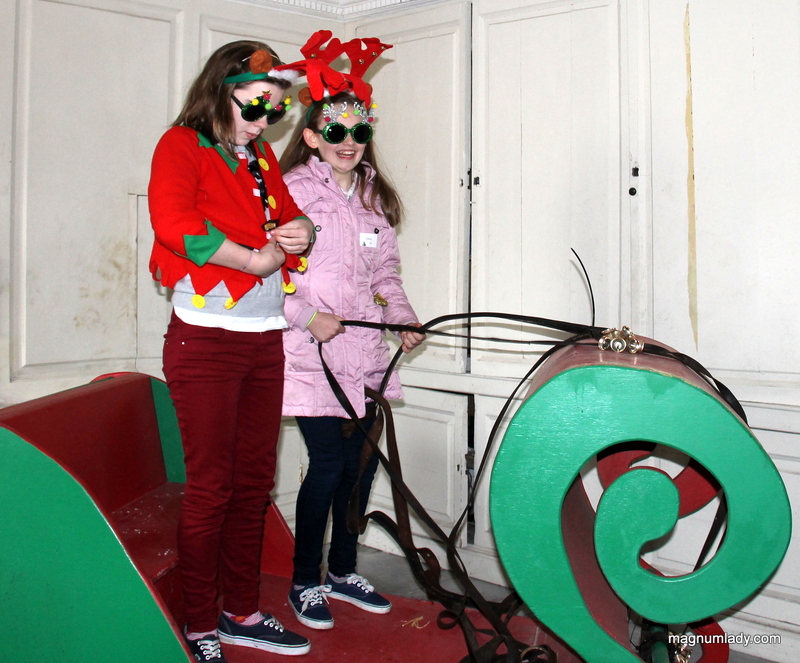 The first of the rooms was a ‘dress up’ room, there were all kinds of costumes for the children to try on. 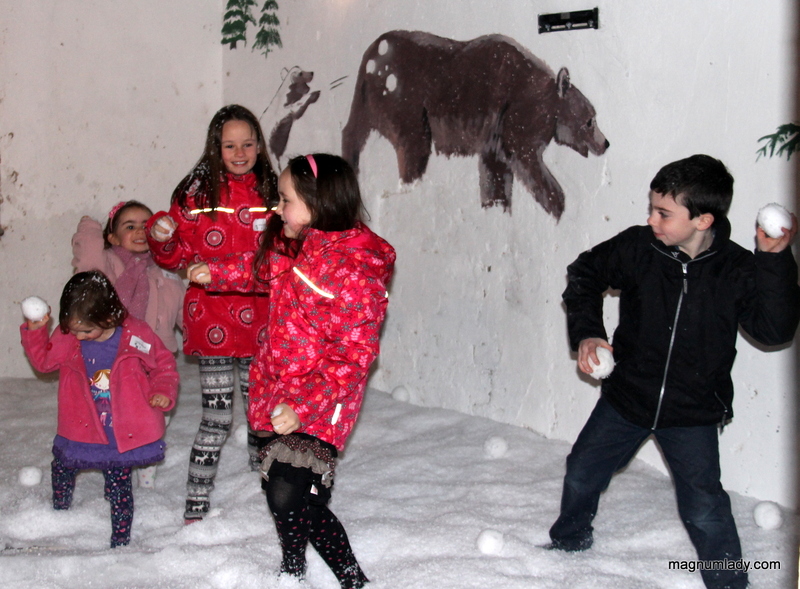 The second room was the ‘snowball’ room, it was brilliant fun!! 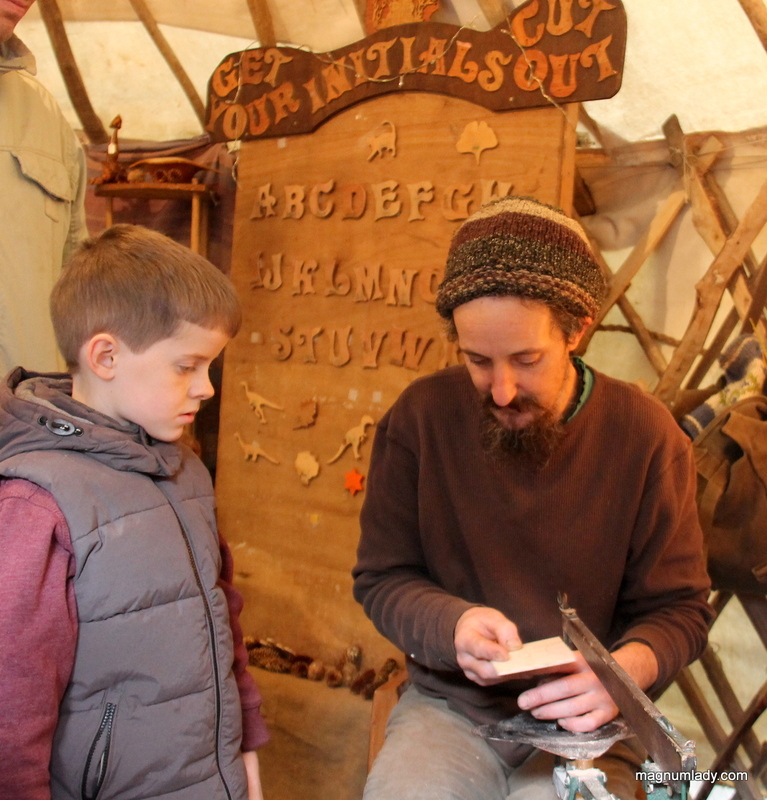 Even the adults wanted a turn. 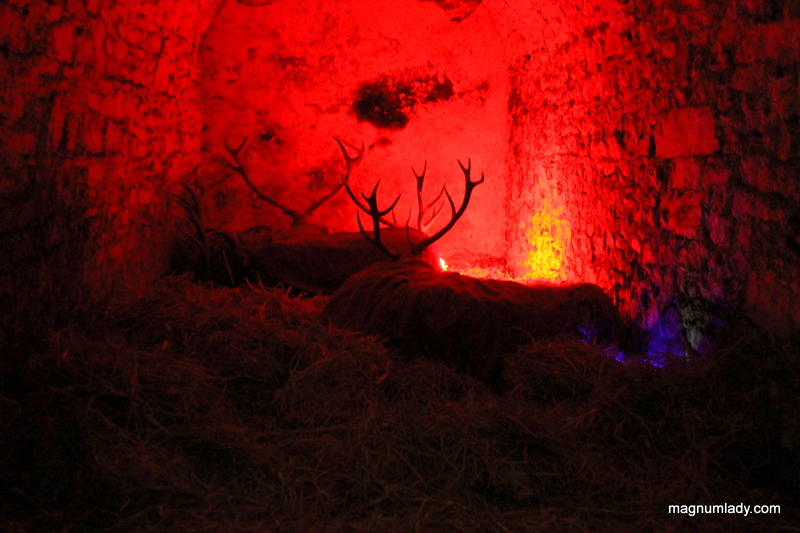 The final room in the basement was one where we had to be very quiet because the reindeer were asleep….awww! 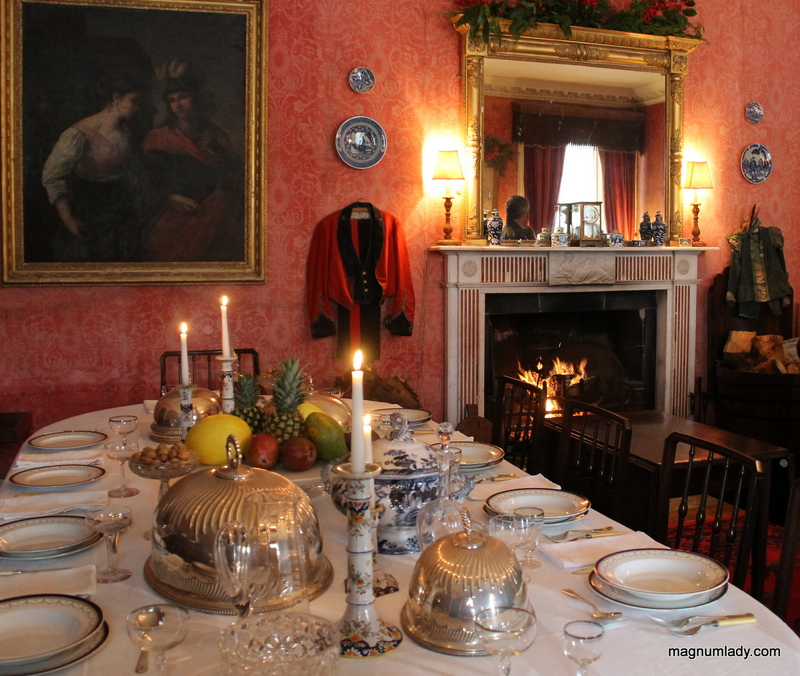 After our tour of the basement we were taken upstairs and saw the Victorian living room, complete with dining table, a roaring fire and Christmas toys. To be honest I could have stayed here for the day. The next room was Santa’s room. 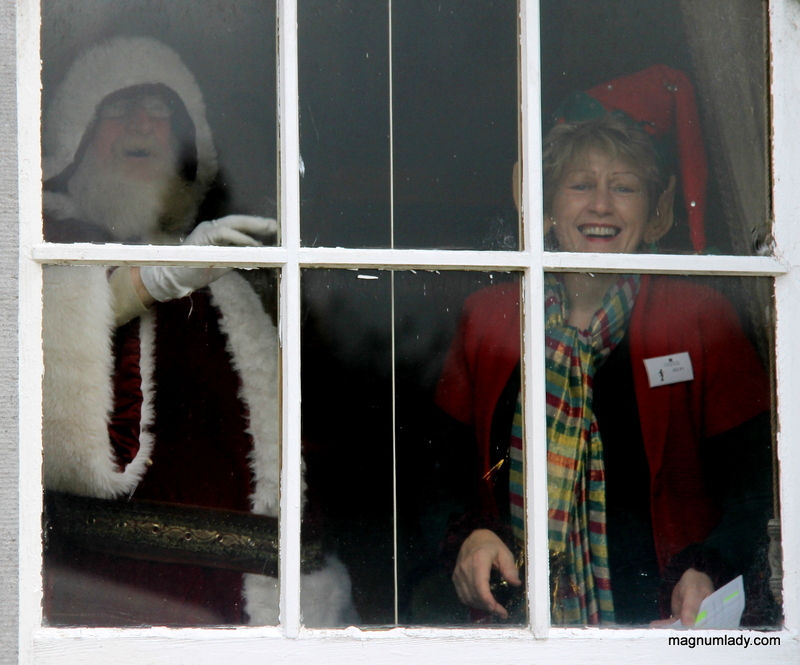 He was lovely and spent a lot of time talking to all the children, the look of surprise on their faces was pure magic. 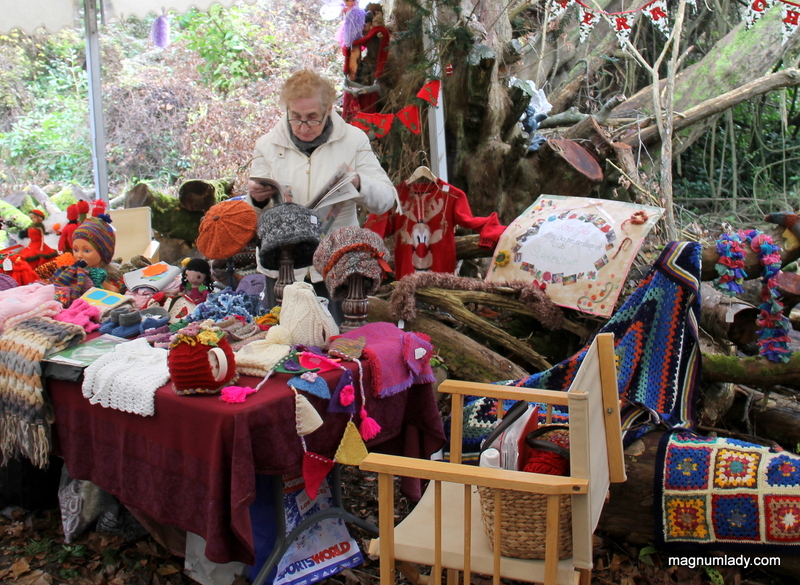 After we saw Santa we went to the Woodland walk where there was a lovely market. The children could also cut their initials out and decorate them with glitter. 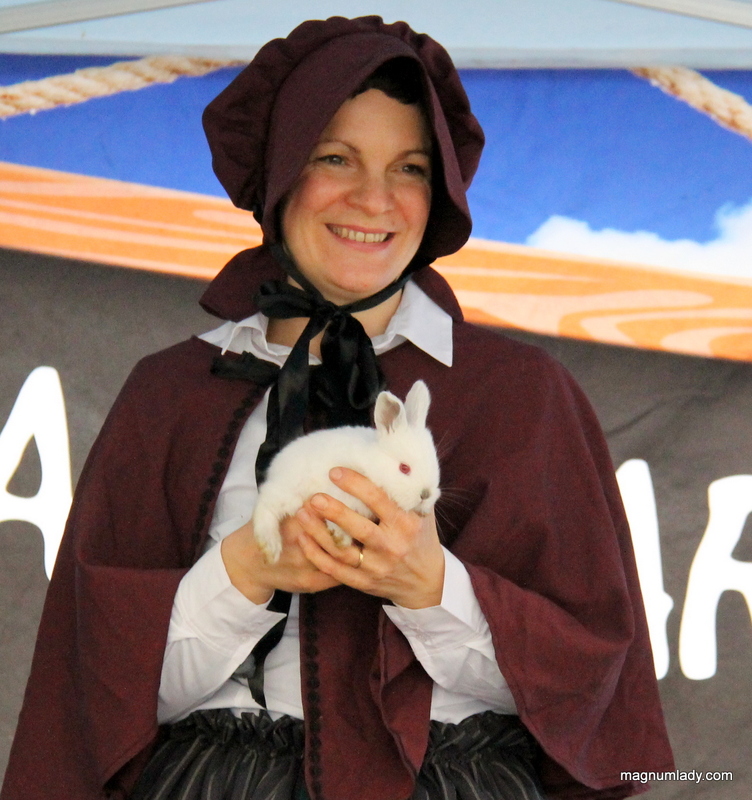 Farmyard in your schoolyard with there with their lovely animals. 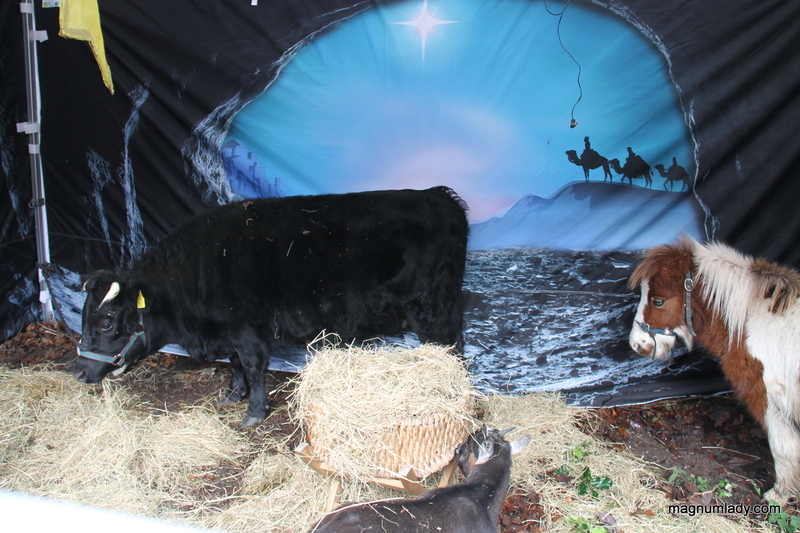 There was also a ‘living crib’ with a pony, Dexter cow, goats, a dove, ducks and even kittens. 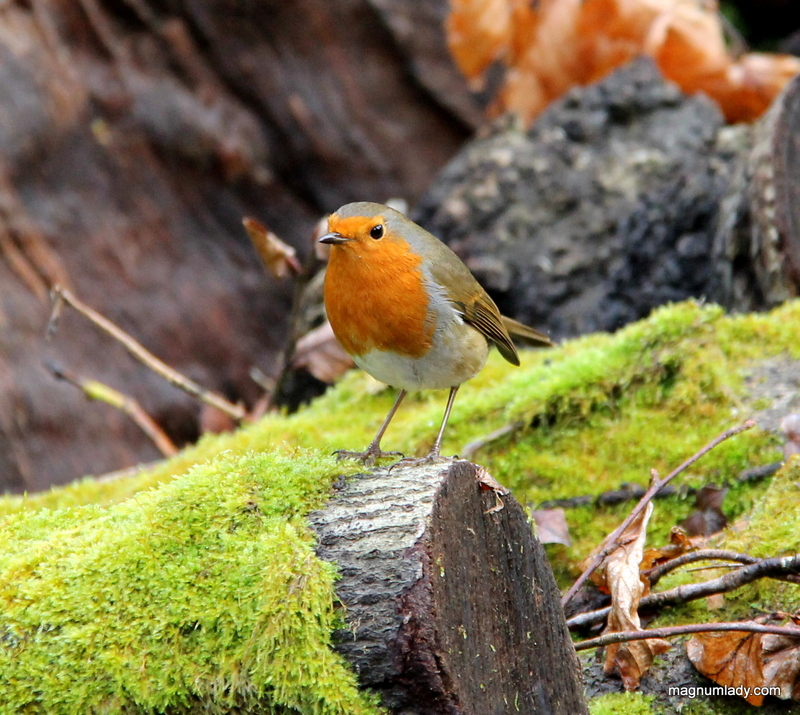 As well as all the animals this little robin was very interested in the proceedings. 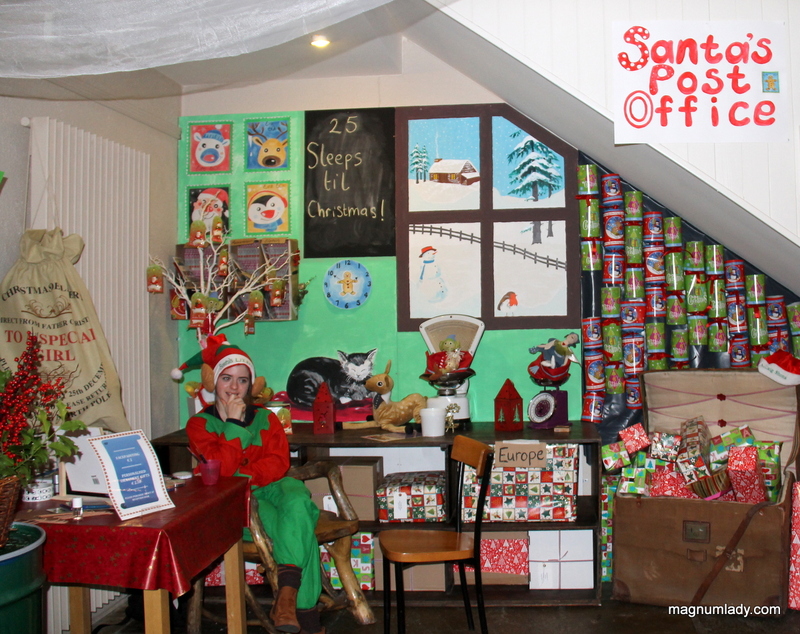 After the visit to the animals and market it was back into the cafe and time for the children to write their letters to Santa and post them at the post office. 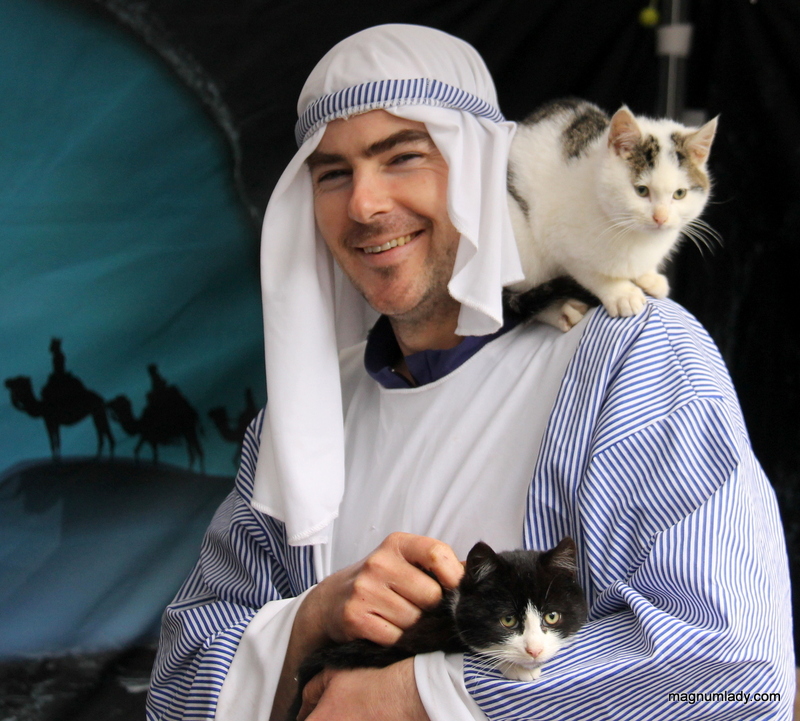 All in all it was a really wonderful Christmas experience. I spent three hours there and you could easily spend the day. Well done to all concerned for a great event.